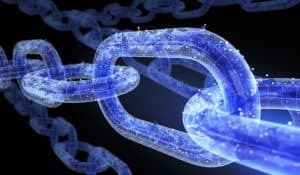 Blockchain and settlement payments technology firm SETL has appointed administrators to handle a restructuring of the business. SETL, which was established by Chi-X founder Peter Randall and appointed the former governor of the Banque De France to its board in January, announced the ‘corporate reorganisation’ following the completion of a development and investment project in two platforms. Administrators will separate SETL’s software development business line from its investments portfolio, which included the ID2S and IZNES platforms, both based in Paris. ID2S is a regulated central securities depository (CSD) that completed its connection testing to the Target2-Settlement (T2S) platform in October last year, while IZNES is a record-keeping platform for European funds. A statement issued by SETL said: “Having made an early investment in the development of ID2S, SETL Development Ltd recognises that as an early stage technology firm it is not sufficiently placed to contribute the capital required. A corporate insolvency notice was filed by SETL Development Limited with Companies House on 7 March to confirm the appointment of Andrew Andronikou, Michael Kiely and Simon Bonney from Quantuma to oversee the reogranisation project. While the filing may have come under the corporate insolvency category, it does not mean SETL has applied for insolvency or bankruptcy, rather that the firm requires an independent party to handle the reorganisation of its business lines now that the ID2S CSD is operational. The post Blockchain specialist SETL calls in administrators amid corporate restructuring appeared first on The TRADE.